Bathrooms are increasingly being viewed as a sanctuary within the home. Homeowners are giving more thought to the fixtures, features, style, and lighting in their bathrooms. This includes their windows. It is essential that the area offers adequate space, function, and ventilation to ensure a great experience. You can meet these needs by choosing energy efficient windows in Greater Los Angeles from ClearChoice Windows and Doors, Inc. This style of replacement windows in Riverside, CA, is ideal in tight-space areas, particularly bathrooms. As an authorized dealer of Simonton® Windows and Doors, we offer their range of casement windows for improved ventilation. They feature stainless steel hardware that fully supports the sash and is resistant to corrosion for lasting performance. Furthermore, they have a seamless nesting crank handle and multi-point locking system for added security and function. They’re also available in an array of exterior colors, hardware finishes, and decorative glass options, allowing you to personalize them further. Large windows offer you a relaxing view of the surrounding landscape from your bathroom. With our bay windows, you can be sure to enjoy an amazing outdoor view in private. They feature either double-hung or casement windows on each side of a central picture window. They’re also available in a 30-degree or 45-degree angle projecting out of your home, expanding the space in your bathroom. Windows that come in different shapes, like Trapezoid-shaped fiberglass windows in Fontana, CA, can add more flair. 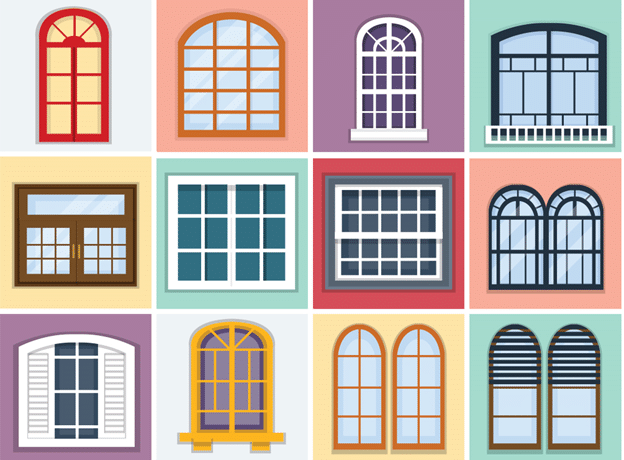 We also have Gothic-shaped windows, as well as Circle-shaped window styles. You can personalize them further with our wide selection of grids for added depth and décor. At ClearChoice Windows and Doors, Inc, we have windows that will provide you with practical benefits. You can also expect our windows to enhance any area of your home, while improving its comfort levels and functionality. Call us today at 1-909-342-6299 for more information about our windows.